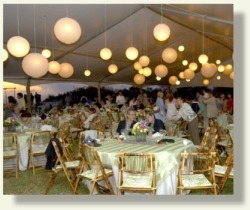 Kilohana’s Tudor mansion provides an ideal backdrop for our special evening event. Our guests will enjoy champagne and delicate passed canapes while touring the estate, shops and manicured lawn. Carriage rides will enhance the evening by providing a relaxing view of days gone by. Only the finest settings adorn our dinner tables in “Gaylord’s” or under an expansive white tent and are accented with a colorburst of tropical blossoms. A jazz trio serenades guests while a wonderful meal that will tease the appetite and treat the palate is served…dining, dancing and drinking with friends…an evening long to be remembered.